Am Donnerstag, dem 24. 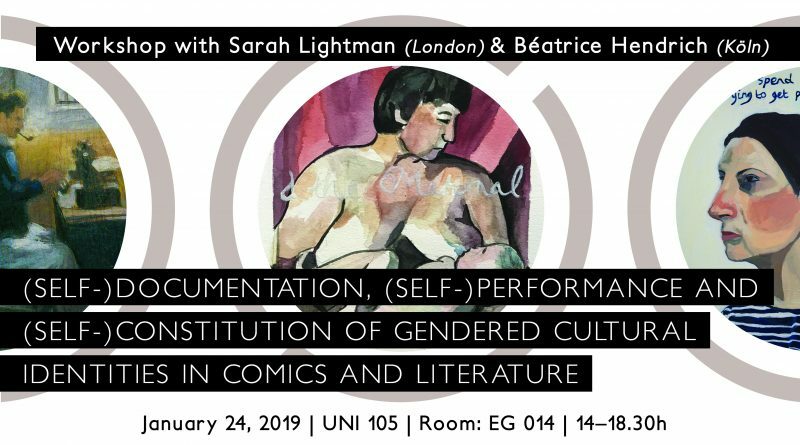 Januar 2019, findet am Kolleg der Workshop: „(Self-)Documentation, (Self-)Performance and (Self-)Constitution of Gendered Cultural Identities in Comics and Literature“ statt, der von Esra Canpalat und Véronique Sina organisiert wird. Assuming that visual and literary representations should always be looked at in context of their cultural and socio-political background, the interdisciplinary workshop aims at analysing (auto-)biographical comics of Jewish artists and literary works by Turkish writers. By focusing on different kind of identity policies that are being evoked in textual/visual media, the workshop will shed light on the question how (self-)documentation, (self-)performance and (self-)constitution of gendered cultural identities are being inscribed in (auto-)biographical comics and Turkish literature and culture. Bringing together the drawn line and the written word, an emphasis will be placed on the question how gendered cultural identities are being constructed, documented and negotiated within different media constellations. By doing so, the workshop will examine various conceptions of identity and their (de-)construction in comics and literary texts, paying specific attention to mechanisms of hegemonic exclusion(s) as well as manifestations of heteronormative structures and allocations in both media.